The Supreme Court of Pakistan on Wednesday reviewed a civil petition concerning the Shahzeb Khan murder case, which is being re-examined after several petitioners contested a Sindh High Court decision to order a retrial of the case. The Sindh High Court had in November 2017 set aside punishments awarded to the accused by an anti-terrorism court while ordering a retrial of the case in a sessions court. The order was passed after considering a review petition filed by one of the defendants' lawyers. The lawyer had argued that terrorism charges should be dropped from the case as the prime suspect was a juvenile at the time of the crime. Following the Sindh High Court's decision, civil rights campaigners had submitted an application to the SC stating that the unfortunate and gruesome murder of the university student had spread terror and created fear, panic, helplessness and insecurity among people residing in the DHA and Clifton vicinities, as well as the public in general of Karachi and Pakistan. The applicants said that as such, provisions of Section 6 of the Anti-Terrorism Act, 1997 are fully justified in being applied to this case. Therefore, the present case should fall within the jurisdiction of an Anti-Terrorism Court. Chief Justice Mian Saqib Nisar, who is heading the bench hearing the petition, said on Wednesday that while the court had received 421 applications concerning the same case, the bench will not be able to entertain all applicants individually and recommended that the petitioners be represented by one person. The bench, which includes Justice Asif Saeed Khosa and Justice Maqbool Baqar, also discussed the maintainability of the appeal. Justice Nisar asked if the SC has the right to question a verdict given by a high court, to which he was assured by prosecution lawyer Faisal Siddiqui that the court indeed does have jurisdiction in the matter. Justice Khosa, too, asked if the SC has jurisdiction over a matter that has already been decided by the high court. "How can we review a matter that has already been settled by the SHC," Justice Khosa said, observing that the high court had already deemed Shahzeb's murder 'not an act of terrorism'. Arguing his case, Siddiqui said that the petition is maintainable under Article 4 of the Constitution, which states that the right of individuals to be dealt with in accordance with law. According to Siddiqui, under the said article, the SC holds the power to take up any petition in which an individual is involved. The judges, however, wanted justification for the involvement of members of the civil society and NGOs in the case. Justice Nisar said that the prosecution lawyer needs to prove why a petition from the civil society should be taken up by the court. "If the suspects and [Shahzeb's] family have already come to an out-of-court settlement, how does the civil society or an NGO have the right to petition this case," Justice Nisar asked. He added: "Even the state has not appealed the case." "The right to appeal in a criminal case may be open, but we must not let that right be misused," Justice Nisar added. "We will have to consider a hundred times before going down this route," Justice Khosa added while commenting on whether or not members of civil society should be permitted to become appellants in criminal cases. The bench subsequently summoned the attorney general for the next hearing tomorrow (Thursday). "If he is unavailable, the deputy attorney general should be present in court tomorrow," Justice Nisar said before adjourning the hearing. On the night of December 24, 2012, 20-year-old Shahzeb Khan, the son of Deputy Superintendent of Police Aurangzeb Khan, had been gunned down in Karachi's Defence Housing Authority. He was returning home with his sister from a wedding. 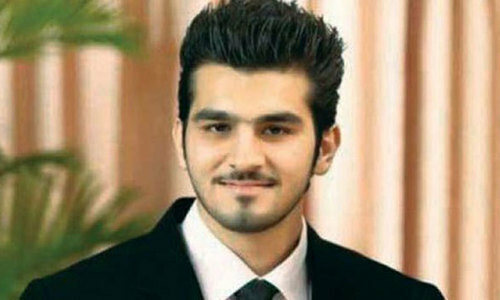 Shahzeb was killed for picking a fight with one of the suspects’ servants, who had verbally threatened and harassed his sister. Then chief justice Iftikhar Chaudhry had taken suo motu notice of the incident, which sparked widespread outrage across the country through newspapers, TV channels and social media. As the prime accused belonged to powerful feudal families of Sindh, the incident had triggered a nationwide debate over whether the country’s elite could be held accountable for crimes they committed. Later, after a speedy trial, Judge Ghulam Mustafa Memon of Anti-Terrorism Court-3 sentenced Shahrukh Jatoi and co-accused Nawab Siraj Talpur to death. Sajjad Talpur and Ghulam Murtaza Lashari, the Talpurs’ servant, were handed life imprisonment for their involvement in the murder. 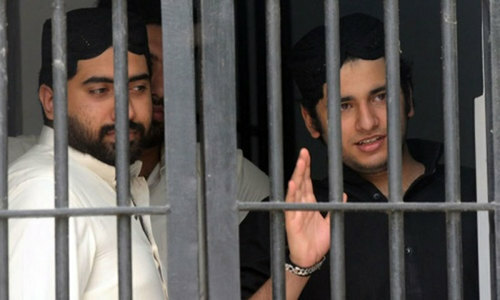 A couple of months after the sentence, however, Shahzeb's parents had issued a formal pardon to the convicts. @Zahid Although i don't agree with Terrorism clause to be applied on this case. The real issue is setting up an example, so that no one in future think of taking someone's life and walk away by settling matter exploiting pardon clauses. If deceased family has pardoned his act, it should be honoured, however; the accused should be kept under life imprisonment for atleast 10 years. 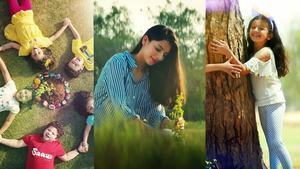 It would definitely create some impact to curb such incidents in future. This is a unique case that has the possibility to create history. The amount of violence involved forced the ATC court to apply terror related charges. It is now the duty of the supreme court to ensure justice, and in the absence of precedence it becomes inevitable that the honorable court sets precedent on the grounds submitted. @Zahid only one of them..
Shahzaib's sister was terrorised! What more do you want?